It’s something to go into a movie with low expectations and Snatched actually was a tad better, that’s not saying much, however. The first 20-minutes or so was a slog to sit through but as Schumer and Hawn are together in South America, and especially when Maloni enters the picture (in an all too brief role), things did pick up. Plot Synopsis: After her boyfriend dumps her on the eve of their exotic vacation, impetuous dreamer Emily Middleton (AMY SCHUMER) persuades her ultra-cautious mom, Linda (GOLDIE HAWN), to travel with her to paradise. When the trip takes an unexpected turn, the polar opposite mother/daughter duo realize they must settle their differences and work together to escape the outrageous jungle adventure they’ve fallen into. 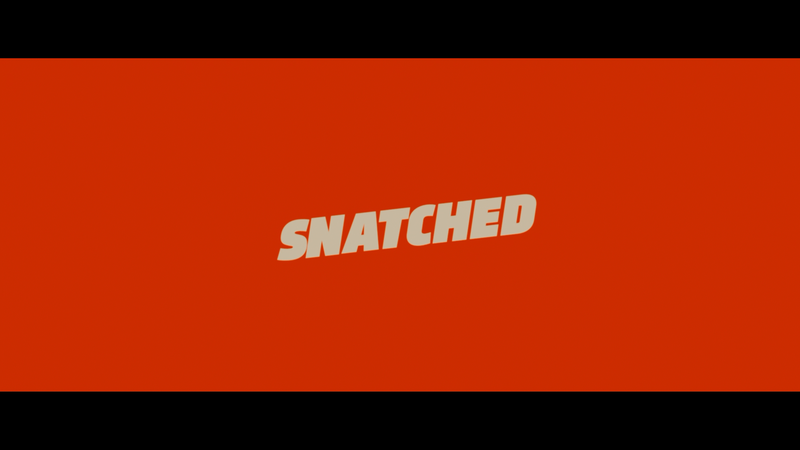 Quick Hit Review: This adventure-comedy, Snatched actually was not as awful as I feared or as some reviews make it out to be. Now, admittedly, I don’t have an opinion of Amy Schumer one way or another as an actress. She does have some comedic talent but needs a good script to make it work (like Trainwreck) so with that said, she’s not terribly funny in this film even opposite Goldie Hawn who still has the chops to rise above a bad script, this one written by Katie Dippold whose most notable film was the terrible Ghostbusters remake. The first several minutes of this film really had me concerned as I managed only a minor chuckle in a barrage of jokes that fell flat. Although Schumer and Hawn do have some okay scenes together, with some of the same old forced “heart” these kind of films tend to evoke, easily the highlight, in an all-too-brief role, was Christopher Meloni playing a Columbian guide helping the ladies get to a United States embassy; his scenes were truly a pleasure. Ike Barinholtz on the other hand as the agoraphobic brother to Schumer, is more obnoxious than endearing. This release comes with a semi-glossy slip cover; inside is the DVD Copy and Digital HD redemption code. Audio Commentary – Director Jonathan Levine goes through the production process and working with the cast. Nothing earth-shattering here. Deleted Scenes (12:43; HD) – There are 10 scenes here that were cut from the final film, probably due to pacing issues. And if those weren’t enough… we get five Extended and Alternate Scenes (14:08; HD). The movie comes with a DTS-HD Master Audio 7.1 which is a bit of overkill for a comedy, even one with adventure. Even so, the bulk of the audio came through the center channel with the dialogue while fronts and rears were relegated for the score, soundtrack, ambient noises and off-camera chatter. It’s not the most robust lossless track or anything but perfectly functional for a movie of this caliber. Overall, it’s something to go into a movie with low expectations and Snatched actually was a tad better, that’s not saying much, however. The first 20-minutes or so was a slog to sit through but as Schumer and Hawn are together in South America, and especially when Maloni enters the picture (in an all too brief role), things did pick up and although I have little desire to watch again, it’s at least worthy of a rental. This Blu-ray released by Fox has great video, solid audio and so-so bonus features.